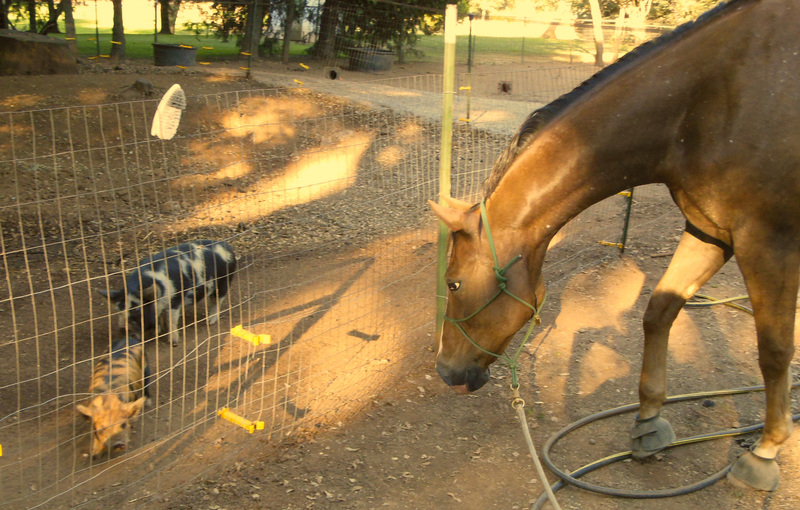 Daily Routine – Equine Partners, Inc.
Our pigs truly have “no worries” and lead a life of companionship and affection. They provide us with comic relief and with weed control and lawn mowing services. They also help us get the horses comfortable being around different species of animals. After a restful night snuggled together in the straw, the daily routine begins with a stretch in the crisp morning air and then a call out to let the humans know it’s time for breakfast. Breakfast is a selection of pig pellets, supplements, and a multivitamin. After breakfast there’s time for a long drink of fresh water and then grazing on fresh grass. 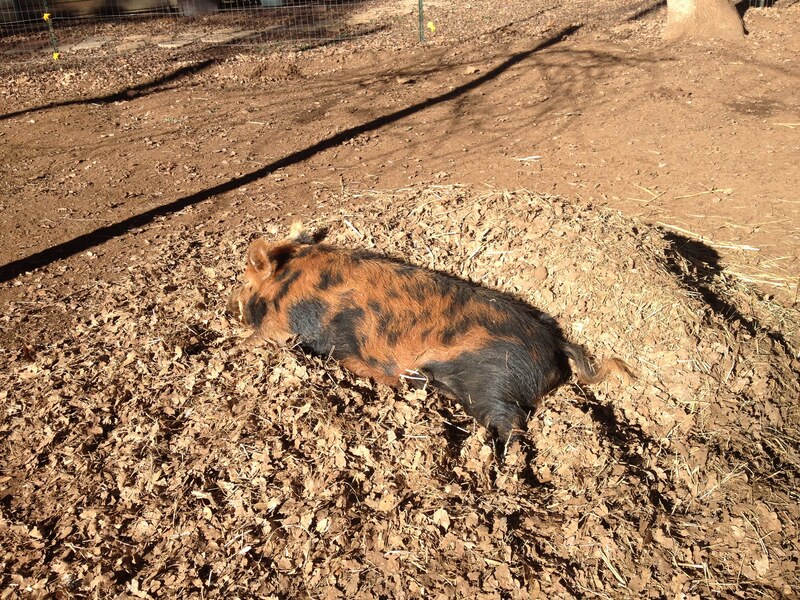 Then a nap in the sun and a dip in the pool or a relaxing wallow in the shallow pond. For exercise, there’s a game of follow the leader or rolling the bowling ball around the pen. Often, a human stops by to provide brushing and belly rubs. Dinner is more pig pellets, sometimes accompanied by a selection of fresh fruits and vegetables. Then it’s back inside the house to burrow into the straw for a good night’s sleep.